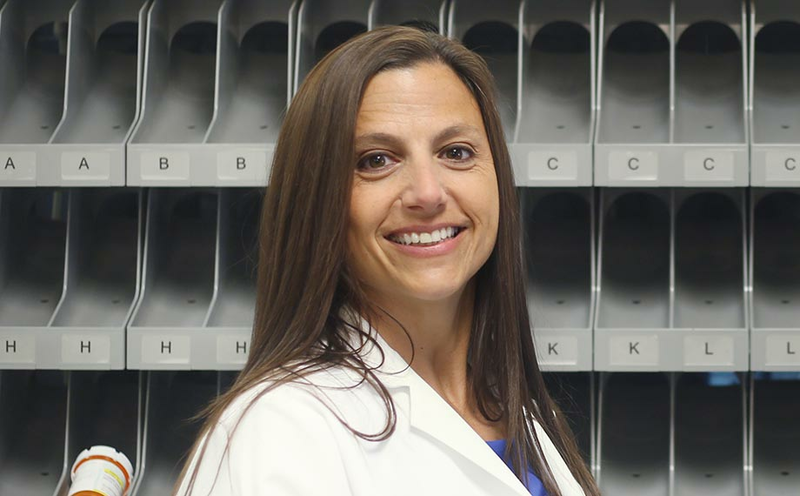 Diane Martin, pharmacist and associate vice president of pharmacy operations at Greater Lawrence Family Health Center, uses technology to increase safety and efficiency, reduce costs and support pharmacists’ role as key players on the health care team. To better support its patient population of more than 51,000, Greater Lawrence Family Health Center’s pharmacy needed a way to increase operational efficiency while freeing pharmacists’ time for patient counseling and care. With six clinics, two school-based health centers, five pharmacy locations and over 600 employees, the Greater Lawrence Family Health Center is the second largest community health center in Massachusetts, serving more than 51,000 patients in the Merrimack Valley. More than a quarter of the community’s residents live below the federal poverty level, and the region is known for elevated rates of asthma, diabetes, tuberculosis and other chronic conditions. Parata Max high-speed dispensing automation streamlines prescription fulfillment for a lower cost per script and frees time for pharmacists to work directly with patients and physician. Diane and her team turned to technology to increase efficiency and provide patients with greater access to pharmacists. 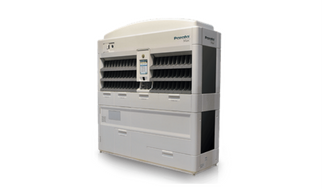 In 2009, they added Parata Max high-speed dispensing automation to free pharmacists’ time for patient care. Automating much of the prescription fulfillment has allowed the diverse clinical pharmacy staff, which collectively speaks four different languages, to develop close relationships with Greater Lawrence’s physicians and patients. Through collaborative drug therapy management agreements, Greater Lawrence’s clinical pharmacists meet with patients, provide medication therapy management (MTM) and bedside counseling, and can authorize prescription refills. Today, the pharmacy uses mobile tablets, video conferencing and web phones to provide “face-to-face” counseling for patients, even if they are outside the pharmacy. They also offer text and email alerts to let patients know when their prescriptions are ready for pickup. Relying on Parata Max to label, count, fill and cap much of the prescription volume has created a more efficient workflow, reduced staffing needs, and decreased the stress level dramatically. Diane and her team use the extra time to provide hands-on patient care. Thanks in part to the pharmacy department’s efforts, the region has seen a dramatic decrease in infant mortality and teen pregnancy rates. And the number of Latino patients effectively managing their diabetes has nearly tripled in the last five years. Greater Lawrence is planning to expand its clinical pharmacy program, working in partnership with its patient-centered medical home to improve the quality of and access to patient care. Diane shares tips for building strong partnerships with prescribing physicians.